Cow is considered a sacred animal in Hindusim, it is believed that all the deities mentioned in the sacred texts reside in the different parts of the cow, hence worshipping a cow is equal to worshipping all the deities. The cow is said to have descended from the Lords abode of vaikuntha ( Maha Vishnu), giving away cow as dhanam is the biggest of punya or pariharam, offering fodder to cows is also considred very meritorious. 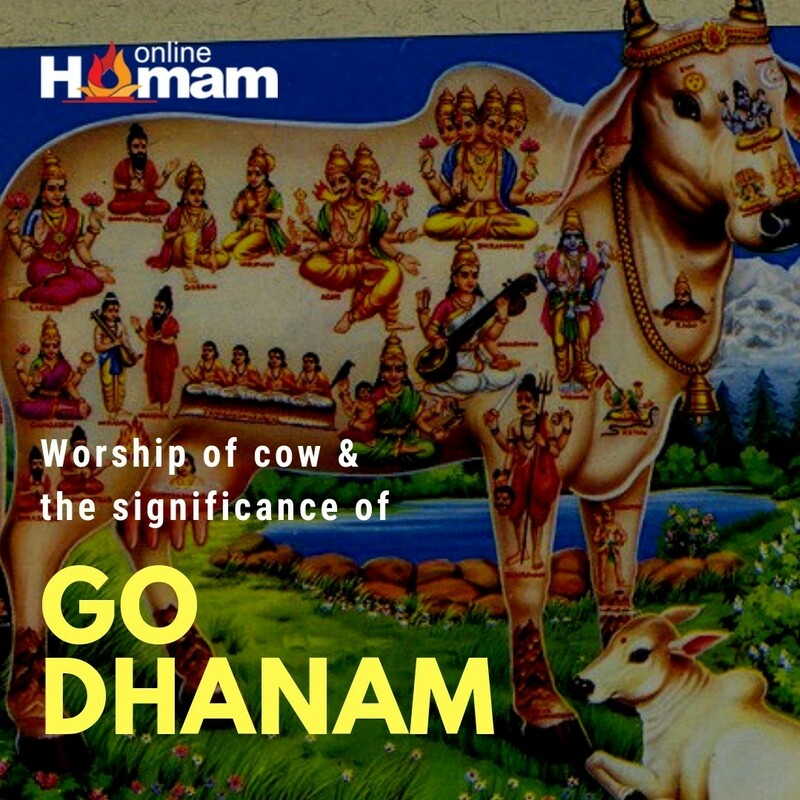 Godhanam can be, giving away the cow as Dhanam, a cloth to cover the cow(vastram) and money to buy fodder for the cow. Where do we do this Go daanam: We shall provide options to you to understand, based on your priorities we shall plan accordingly.